Garage doors can be quite difficult to operate, and sometimes the energy needed to do so would make you feel like you have been in the gym for half an hour. Sometimes the problem is that your garage door is so loud that you cannot hope to come home late without waking the entire neighborhood. If you are currently facing any of these difficulties, it may be time to consider investing in a garage door opener. If you already have one that is too loud, or too slow, maybe you need to upgrade your system. 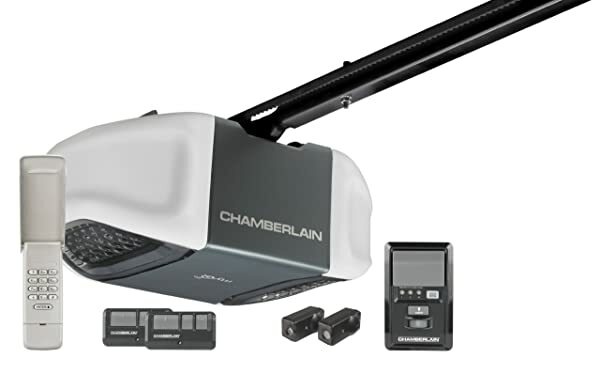 Whatever the case may be, when it comes to garage door openers, you will find none better than the Chamberlain WD832KEV garage door opener. What does Chamberlain WD832KEV offer? The Chamberlain WD832KEV is one of the highest rated belt driven garage door openers you can buy at the moment. It has high rating on both Amazon.com and HomeDepot.com, and with all the features that it contains it is not hard to see why. The Chamberlain WD832 KEV comes with a durable 1/2 hp motor that drives a steel-reinforced belt drive so quietly that you will struggle to hear it, making it perfect for use in homes that have rooms above the garage. This noise reduction is possible thanks to Chamberlain’s Motor Vibration Isolation System that helps to reduce the vibrations and therefore reduce noise. The door opener comes with Chamberlain’s MyQ technology, which allows you to control everything about the opener from your smartphone, from the opening and closing of the door to the interior and exterior lights (as long as they are also MyQ compatible). This control is afforded to you regardless of where you are on the globe, as long as you have internet access, meaning that you will never have to come home to a dark home or garage again. If you would like to keep your options open, you could choose to use the two three-button remote controls that come with the unit. These state of the art remote controls use a tri-band frequency, and automatically choose the clearest frequency to use to ensure that you are never locked out (or inside) of your garage. Additionally, the Chamberlain WD832KEV comes with motion detectors that can sync with other MyQ products to produce fantastic results. For instance, it can help with the lighting by switching them on or off when motion is detected, meaning that you will not have to worry about walking through a dark garage at night. It can also aid with the programming of new remote controls, as well as any new MyQ accessories that you may purchase in the future. If you do not want to use any of the two systems, or you accidentally lose the remote or your phone, the Chamberlain WD832KEV also comes with a wireless keypad that allows you to access the door opener using a four-digit code. The time-to-close feature is also very handy, and can prove to be invaluable, especially on the days when you are just too busy or tired to remember to close the door. The unit can be set to close in 1, 5 or 10 minutes intervals, meaning that you will never have to worry about whether you have locked your garage door. The time-to-close feature also controls the lights, and allows you to set how long the lights will be on as well. If you are worried about safety with the Chamberlain WD832KEV consumes then you have no need to fret, as this unit comes with an impressive protector system. It has safety sensors that project an infrared light beam that automatically stop the door should anything interrupt the beam as the door is coming down. It also stops the door should a person or object get in the way of the door while it is descending. The lights come on automatically when the infrared beam is broken, allowing you to see what is blocking the beam. However, the best thing about this safety feature is the fact that it changes the remote codes every time the remote control is used, making it exponentially harder for a burglar to hack. Should you have an interruption in power, the WD832KEV has a manual release handle that you can use to open the door. The Chamberlain WD832KEV is the best opener in its class for a reason, but it is one of the trickiest units to install. There have been numerous complaints about how confusing the instructions in the manual can be, and how they could be more descriptive. Another major problem with this unit is compatibility. There are various cars that come with HomeLink control systems these days, and though they work with most other garage door openers without a hitch. When it comes to the Chamberlain WD832KEV, you may have a few compatibility issues that will require you to buy an additional bridge to help you sync with the opener. Additionally, when it comes to accessories, there are quite a few that you will need to purchase to be able to use the full potential of this unit. For instance, to use the MyQ system properly, you are going to have to purchase the MyQ gateway for an additional around $50. 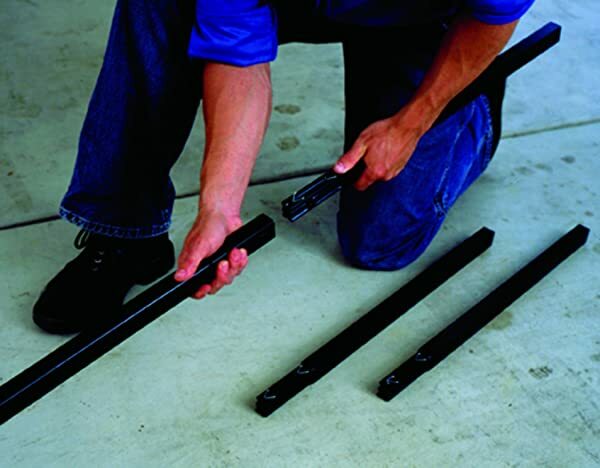 Also, for those that have a garage door that is 8’ tall, you are going to also have to purchase the 8 feet belt drive extension kit for an additional around $40. As was stated earlier, there is a reason why the Chamberlain WD832KEV garage door opener is consistently rated as one of the best in its class, and that is because it is. The safety features and noise levels are impressive, and the power demands are negligent (it uses 1-W when in standby mode). The additional around $90 you would spend if you had an 8’ tall door and wanted to get the MyQ gateway will dent your pocket a little, but it is worth it considering how much bang you get for your buck.